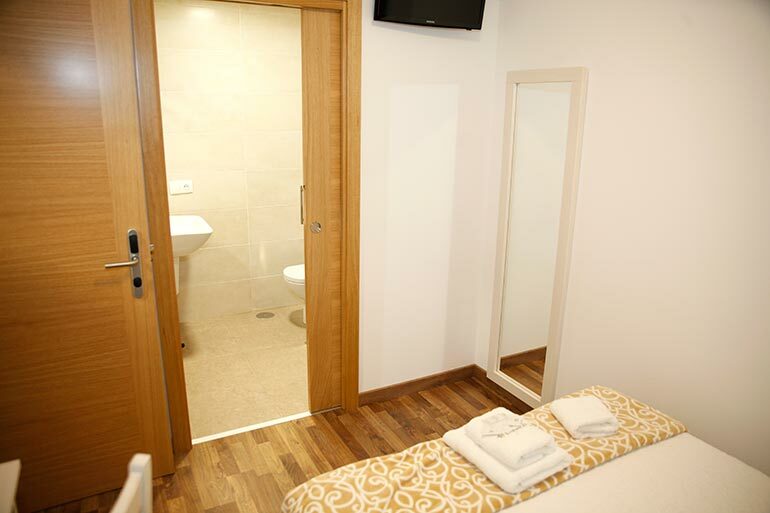 THIS ROOM, LOCATED NEXT TO THE LIFT, SINCE THIS IS INTENDED FOR USE BY PERSONS WITH REDUCED MOBILITY. THIS ROOM IS 135 CM. 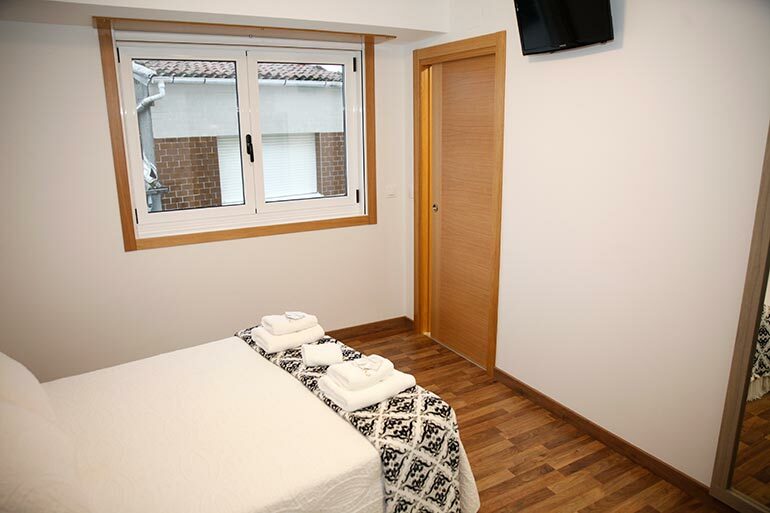 FEATURES LIGHT AND NATURAL VENTILATION WITH WINDOWS TO THE OUTSIDE, TO THE HISTORIC TOWN OF MELIDE. IT HAS A BATHROOM WITH SHOWER FAUCET WITH EFFECT OF RAIN. 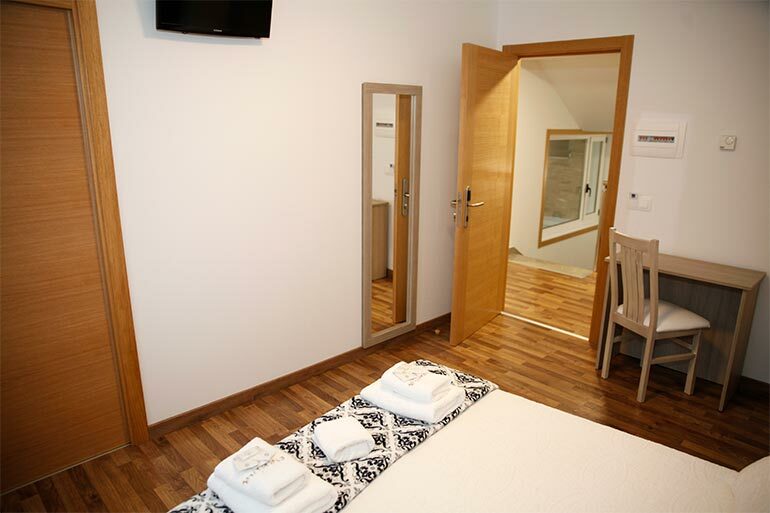 IS EQUIPPED WITH SHEETS, TOWELS, AMENITIES (BATHROOM AMENITIES), HOUSEKEEPING (DAILY), FLAT TV AND FLOOR HEATING, FREE WIFI. 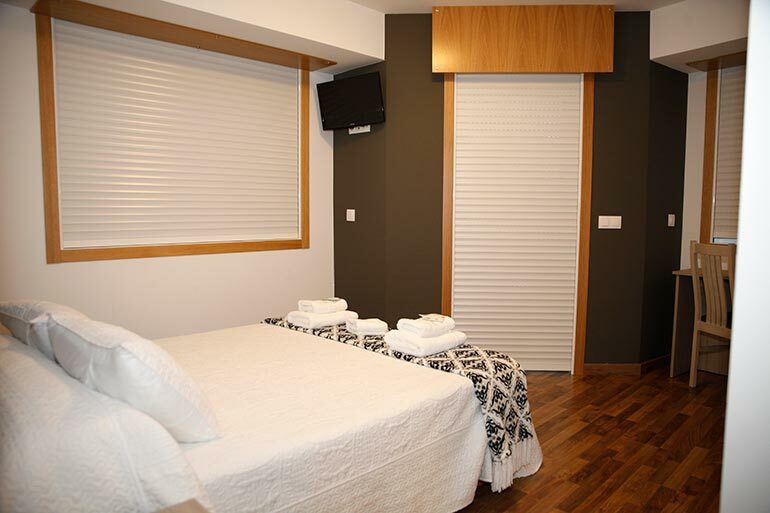 THIS ROOM IS 135CM AND HAVE THE OPTION OF EXTRA BED 90 CM. IT HAS LIGHT AND NATURAL VENTILATION WITH WINDOW TO THE OUTSIDE. IT HAS A BATHROOM WITH SHOWER FAUCET WITH EFFECT OF RAIN. 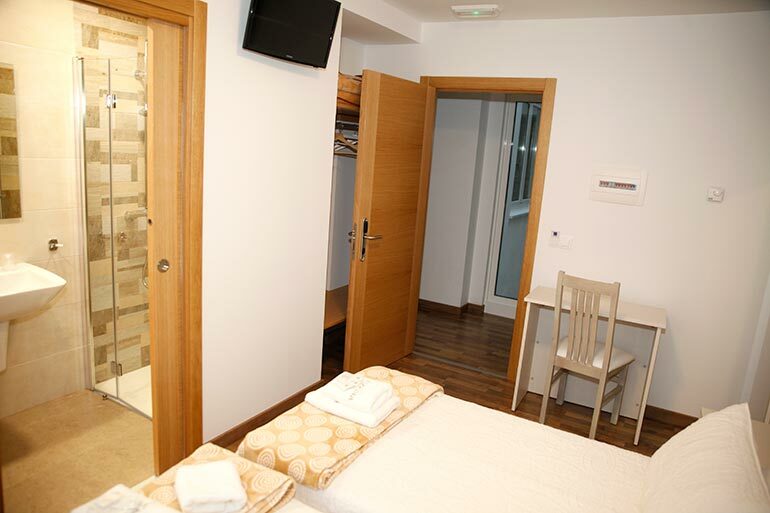 IS EQUIPPED WITH SHEETS, TOWELS, AMENITIES (BATHROOM AMENITIES), HOUSEKEEPING (DAILY), FLAT TV AND FLOOR HEATING, FREE WIFI. 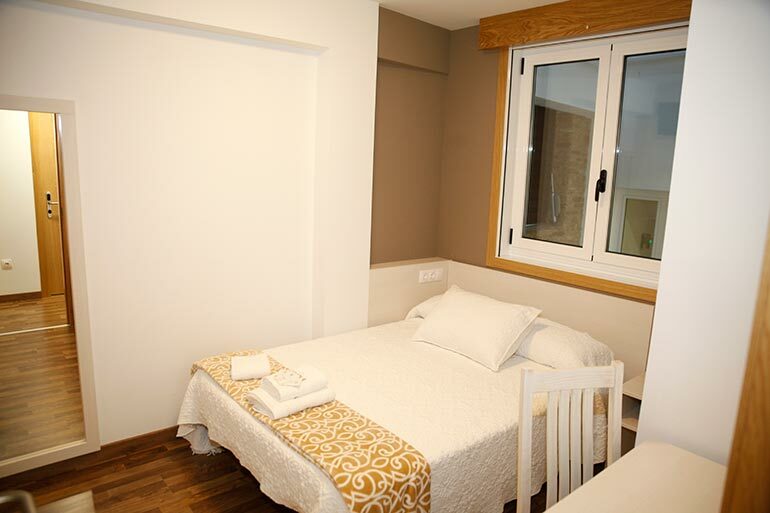 A VERY VENTILATED ROOM WITH GREAT NATURAL LIGHTING THAT ALSO BOASTS A BALCONY AND WINDOW IN THE BATHROOM. THE BED IS LARGE OF 150 CM. HAS A BATHROOM WITH SHOWER FAUCET WITH EFFECT OF RAIN. 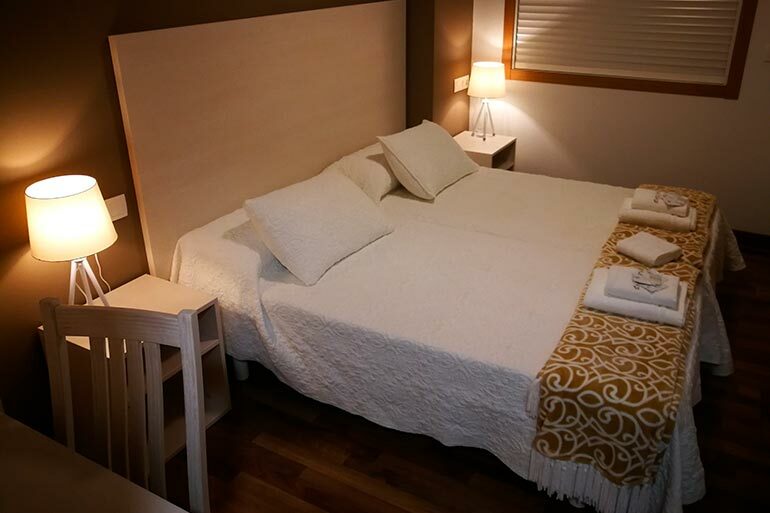 IS EQUIPPED WITH LINENS, TOWELS, AMENITIES, HOUSEKEEPING (DAILY), FLAT TV AND FLOOR HEATING, FREE WIFI. 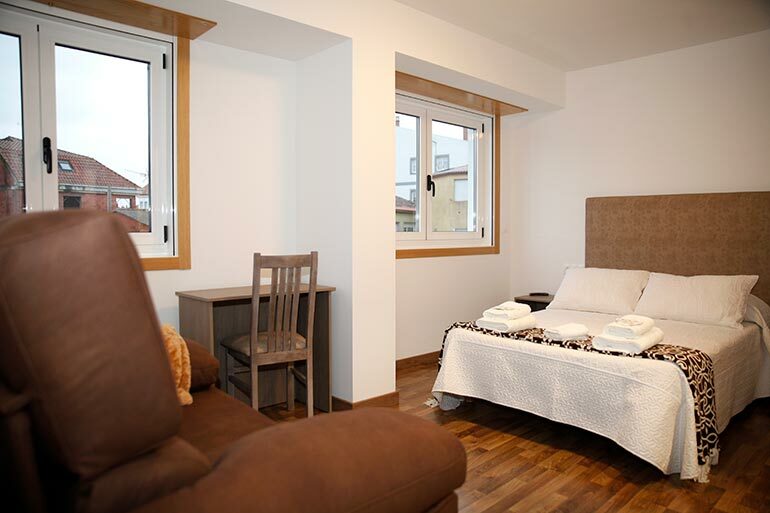 COMPOSED BY TWO BEDS OF 90 CM, ACCOUNT WITH LIGHT AND NATURAL VENTILATION WITH WINDOW OUTSIDE, EVEN IN THE BATHROOM. . 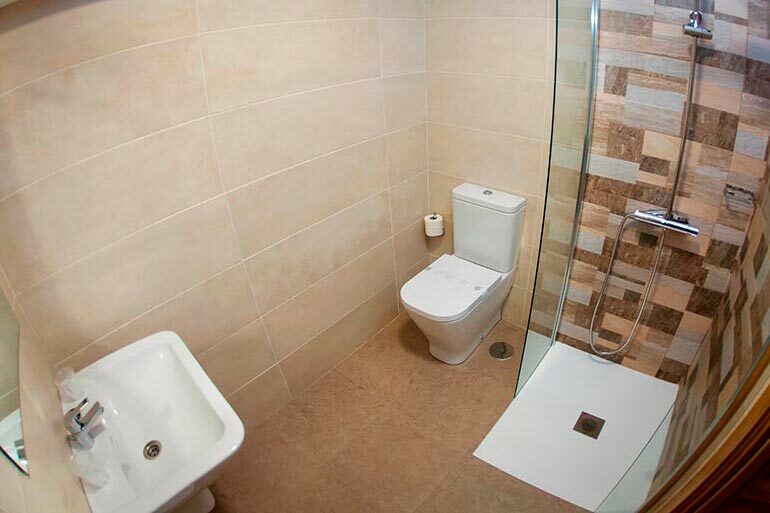 IT HAS A COMPLETE BATHROOM WITH A SINGLE-LEAK SHOWER WITH RAINFALL EFFECT. IT IS EQUIPPED WITH SHEETS, TOWELS, AMENITIES (FREE TOILETS), CLEANING SERVICE (EVERYDAY), FLAT TV AND RADIANT FLOOR HEATING, FREE WIFI. 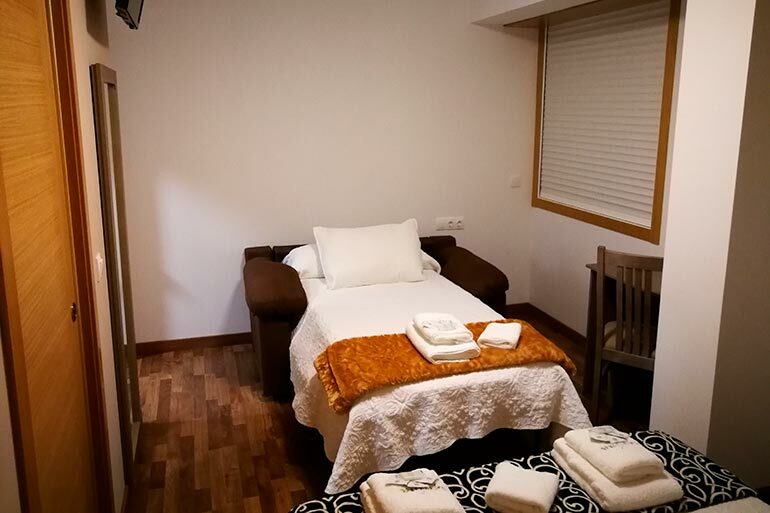 THE ROOM IS INDIVIDUAL AND HAS A WIDE BED OF 135 CM. IT IS ALSO INNER, BUT WITH VERY GOOD VENTILATION TO A PATIO. THE INTERIOR PATIO GLAZED AND WITH HORIZONTAL LENS BLINDS CONTROLLED BY A METEOROLOGICAL STATION THAT REGULATES THEM ACCORDING TO CLIMATOLOGICAL CONDITIONS. THE COMPLETE BATHROOM WITH SHOWER DOOR MONOMANDO WITH RAINFALL EFFECT. 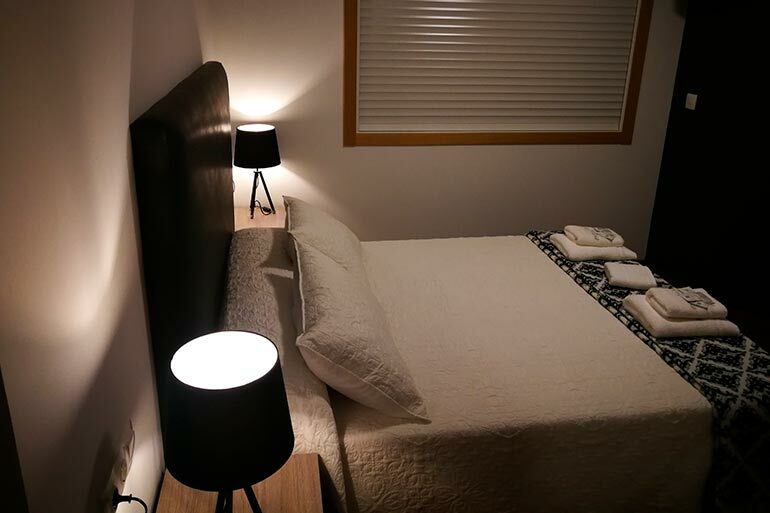 IT IS EQUIPPED WITH SHEETS, TOWELS, AMENITIES, CLEANING SERVICE (EVERYDAY), FLAT TV AND RADIANT FLOOR HEATING, FREE WIFI.